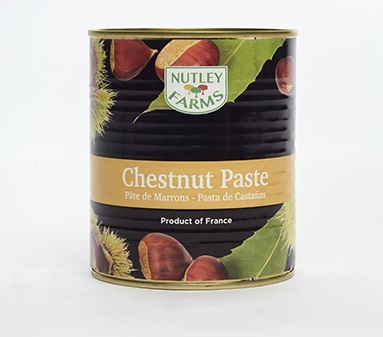 Ready to use slowly cooked natural chestnut paste. 60% fresh chestnuts, 40% refined sugar, and vanilla beans. Designed for pastry and confectionary applications such as fillings, creams and ice cream.